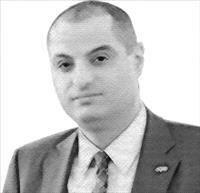 AMMONNEWS - By Khalid Dalal - It is not enough to hear the nice words various senior foreign officials keep saying about Jordan and its wise dealing with regional challenges. And it is not enough for them to keep emphasising that the country has always been bolstering the stability and security of the region. Its leadership is the real moderate voice in the Middle East. The country has always been helping with international causes, starting with fully supporting the just cause of the Palestinians to hosting millions of refugees from different countries, etc. It is not enough, as there is an urgent need for real support from Jordan’s friends, now and not tomorrow, as the country is facing aggravating economic woes that increasingly put pressure on Jordanians. How to help is simple. Take the five-year $6.3 billion-assistance memorandum of understanding between Jordan and the United States on economic and military cooperation, signed in Amman recently, as a good example to follow. Jordan is a real friend to many countries and their leaders, as well as influential Eastern and Western decision-making circles, are keen to listen to His Majesty King Abdullah’s wise and brave advice on how to tackle regional and global problems. Many, especially the G-20 countries, should follow suit and sign agreements similar to the Jordanian-US deal. Incidentally, the G-20 accounts for 85 per cent of the global GDP. If the world loves Jordan and admires its stances, as it says, it has to prove it in deeds, not in words only. The writer is former media and communication director at His Majesty King Abdullah’s Office, former adviser at the Royal Hashemite Court, and currently senior media adviser and special representative for international strategic communication at Talal Abu Ghazaleh Group.